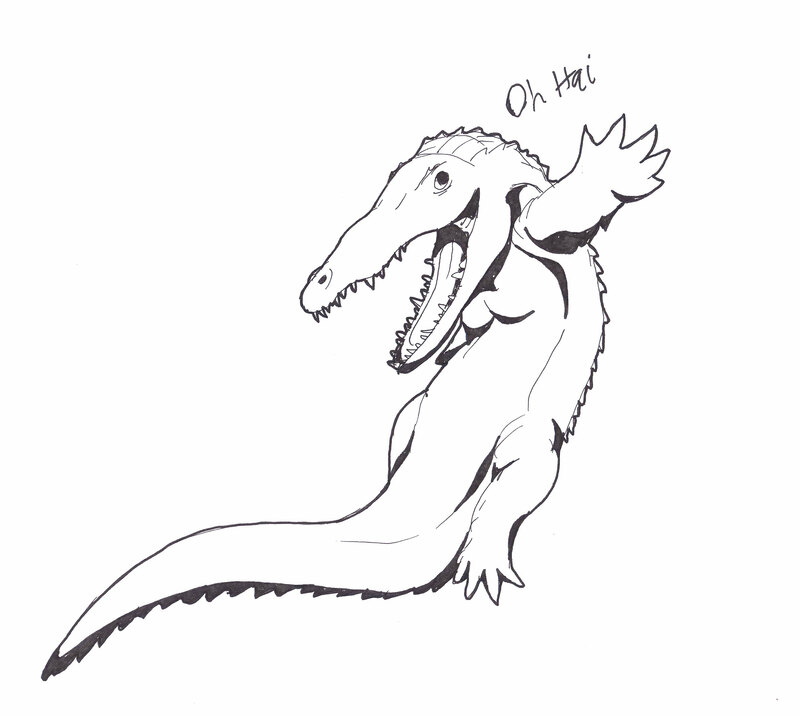 Meet your friendly local archosaur. Hobbies include patting kittens, playing WOW and dragging large mammals into rivers before drowning them. This entry was posted in Scanned Desksketch and tagged archosaur by Anthony. Bookmark the permalink.